1) My mom and dad – I learned a lot from both my parents, but in very different ways. My mom taught me business principles and to respect others in the way you deal with them. My dad taught me how to build a brand in the hearts and minds of the consumer. 2) Stephen Schnoll – Stephen is my best friend from high school. We have known each other since we were both 13 years old. Steve taught me so many things it is hard to count them here. But if I had to credit him from a particular angle, it would be technology and technology marketing. He has been extremely successful at technology sales. If a campaign wouldn’t work for Steve, I wouldn’t want to run it! 3) Ira Entis – Whether he knows it or not, Ira taught me so much about how to get things done in an organization and ensure that your team is successful. It is clearly more art than science, and I appreciate the time I had working for Ira, learning from the master. 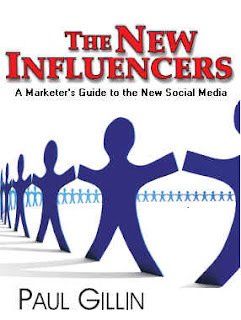 Who are your biggest influencers? Tagging Mukund Mohan, Cece Solomon-Lee and Tom Pick.